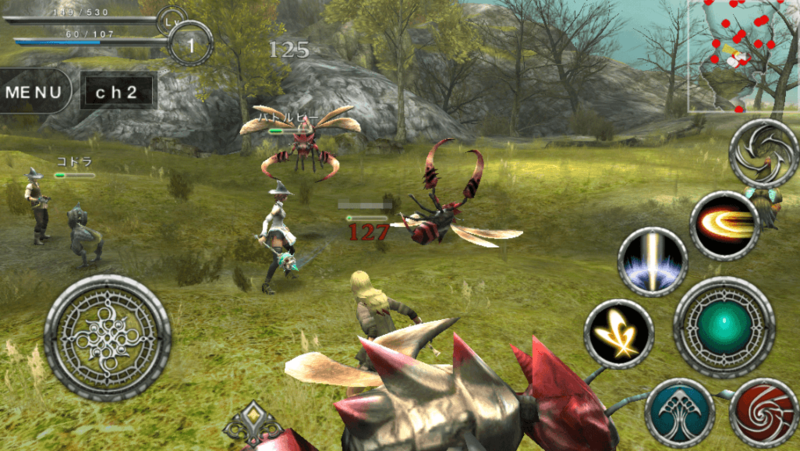 Avabel Online is a mobile MMORPG published by Asobimo incorporated that has the right to be called the most visually stunning mobile MMORPG on the market. Avabel is from the same company that has created Iruna Online as well as Celes Arca which are also extremely popular mobile MMORPGS. Avabel though stands out from the bunch with many unique features and, visually stunning, smooth combat, and a ton of extra features that you would not see in many other games. Avabel earns a 5/5 for my own personal experience because while starting off in the game I was lost it still was fun entertaining and very well designed. Every game has a learning curve especially for an MMORPG and it being on your Android device does not make it any easier. However, the combat felt very fluid and it was fun instead of most MMORPGS this one has real-time combat that didn’t feel choppy or sluggish. This made the game very fun and made me want to continue to play the game and get better at it. The game was very large in size which was not a problem since I make good use of cloud storage and regularly backup my photos and videos to my computer so I have plenty of space for the game. The only down side is I wish the game was slightly optimized better so the load times would not be so long. For any mobile MMORPG Avabel has a simply beautiful world that is well designed, the style is visually appealing, and it just feels like it could be its own MMORPG. While Avabel is visually appealing the style is what grabs your attention. Look at the image below to get a glimpse of the world of Avabel. The gameplay was a rather smooth experience the combat was very smooth there were no choppy animations of major slowdowns from the game while playing. It was an overall very satisfying combat system which is good because a great looking game with a horrible combat system gives you well ArcheAge. The game has sounds according to spell attacks, characters, basic stuff while they can be repetitive and there is no real personal preference for songs or battle music it feels like it is missing a certain element to capture the game. However, it still makes for a very decent game. While this is not a traditional MMORPG this is the most important thing about the game this game almost seems to be void of any real community other than guilds who are made largely of people they met outside of the game. This makes it very difficult for a new player to find a spot to fit in, but this doesn’t mean that it can’t be done. However, there is a community in the game it is just a matter of getting your self into one of the niche groups. This game has no real roleplay aspect to it, however there is a story and whether or not you think it is decent the story is nothing special. However, this game at least has some sort of story which puts it above many other Android MMORPGS it just isn’t interesting enough for me to want to pay attention to it. Honestly the game is fun, free, and visually stunning. If you are into Android MMORPGS and you have not tried Avabel you need to do so now.